Another U.S. yo sold under the Bandai name. 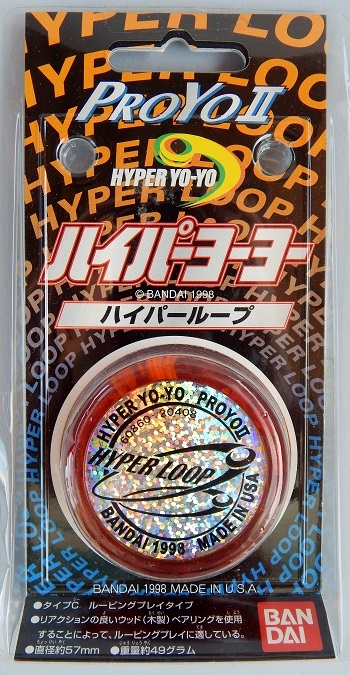 Identical to the Pro Yo II sold in the U.S. but with different side caps. Not sure why the side caps are all in English when the packaging is all in Japanese. Red/Orange halves. Made in USA but sold only in Japan. Original retail price: $9 US.